Fifteen years ago I was $187,000 in debt with little to show for it. Despite common beliefs people have about debt, I decided not to consider mine a problem. In only two years, I managed to change my entire financial situation. Most people equate debt with suffering. They have the perspective that to change your situation you have to work harder while limiting your enjoyment more. 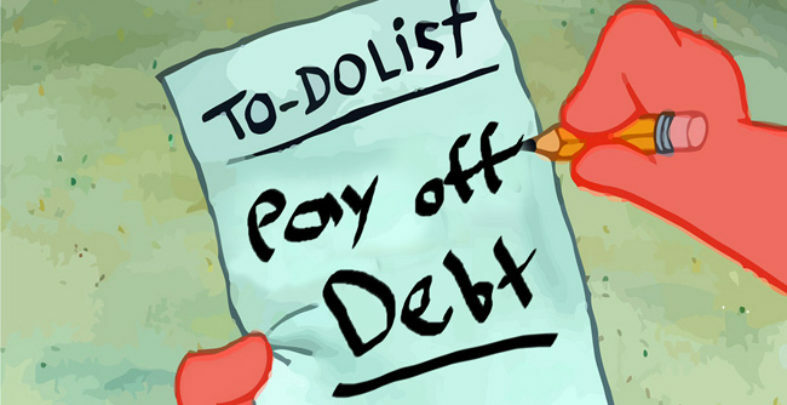 However, being in debt doesn’t mean you have to do any of that. Getting out of debt was actually fun for me. I knew that if I wanted my life to be different, I had to choose to be different too. Instead of listening to everyone else’s points of view about money and what I had to do to remedy my situation, I required a totally different perspective. Even though it didn’t make any rational sense, I decided debt was not going to stop me from enjoying my life. Have you ever stopped to acknowledge whether you are actually committed to your life? Commitment to your life doesn’t mean locking yourself into one particular path forever; it means never giving up, never giving in and never quitting. Most of us are well trained in giving up what we would truly like in order to fit in with everyone else or whatever we’ve concluded we have to do. Committing to your life means being willing to be as different as you actually are, no matter what anyone else thinks, says, or does. When you commit to being different, you have different possibilities. No matter what your financial situation, you never have to miss out on anything. What do you believe about debt? Does being in debt mean your choices are limited or that you have to miss out? What about money? Do you believe that you have to work hard for it? Your point of view creates your reality; your reality does not create your point of view. If you believe that you have to work hard for money, that’s exactly what will occur. To change your perspective on debt and money, practice saying, ‘Interesting point of view, I have that point of view’ for all the thoughts and feelings you have regarding them. When you repeat this, you begin to let go of everything that’s limiting the amount of money you can have and the ease that’s possible. Changing your perspective doesn’t have to be difficult – that’s also just an interesting point of view. When you change your perspective, your experience changes too. People constantly make statements about money based on what they’ve learned or believe, but very few ask questions. If you desire something greater with your finances, start asking questions continuously. Questions are actually the beginning of change. Whether you want to make more money, get out of debt, or just enjoy your life more, questions open the door to new possibilities. As you ask questions your sense of what’s possible will become greater. You’ll no longer be confined by what anyone else is doing or believes. Being in debt shouldn’t mean you have to miss out – on anything. Committing to your life, being willing to change your perspective, and continuously asking questions allows you to have all new possibilities with what you can choose. If you’re willing to be different, your life can be different too. Simone Milasas is an entrepreneur, creator, creative business coach, international business owner, author and Worldwide Coordinator of Access Consciousness. She has been at the forefront of cutting edge business creation and development for over a decade and has trained business leaders and innovators all over the world. Simone is the author of JOY OF BUSINESS translated into 13 languages and best-selling book GETTING OUT OF DEBT JOYFULLY translated into 5 languages. You can find Simone every week on her podcast – The Art & Industry of Business & Living available on her website, www.simonemilasas.com and iTunes.